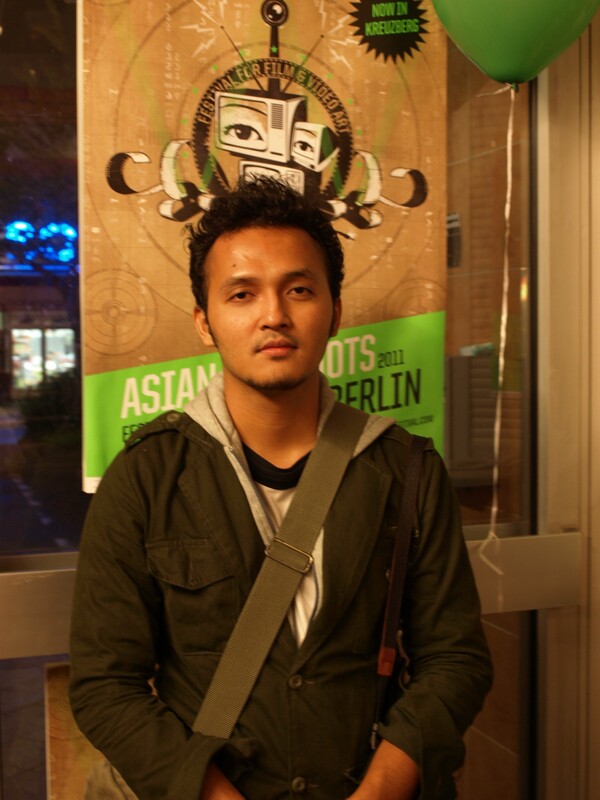 Adrianto Dewo, Regisseur des indonesischen Kurzfilms Song of the Silent Heroes (2010), ist zum ersten Mal in Europa. Wir freuen uns sehr, sein Werk im Rahmen des Kurzfilmprogramms Q! Shorts zu präsentieren und sind schon total gespannt auf seine ersten Eindrücke von Berlin und dem Asian Hot Shots Berlin Festival. Adrianto Dewo, the director of the Indonesian short film Song of the Silent Heroes (2010) visits Europe for the first time. We are very proud to present his work as part of the short film-selection Q! Shorts and are quite excited about his first impressions of Berlin and the Asian Hot Shots Berlin Festival. This entry was posted on September 10, 2011 by greenchilies. It was filed under Uncategorized and was tagged with Berlin, Filmmakers, Indonesia, Queer Film, Short film.